The fifth edition of “All Star Fight” is held on July 6 in Prague, Czech Republic. The event marks European debut of a popular muaythai promotion out of Thailand launched last year. The fight card is yet to be formally announced. Nevertheless Yokkao.com confirmed participation of its’ fighter Manachai in the upcoming show. In addition, Buakaw himself, as well as his team-mate at Banchamek Gym, Superbon, are expected to battle out on the night. 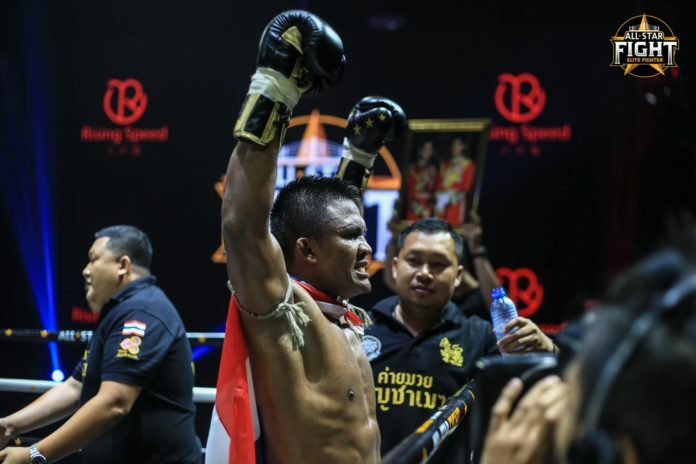 “Besides top fighters from the region, All Star Fight 5 will once again be headlined by its leading man, Buakaw Banchamek. Joining the Muay Thai icon will be kickboxing star, Superbon Banchamek, as well as YOKKAO’s very own young talent, Manachai,” stated in the announcment. The most recent All Star Fight event was held in Hong Kong. Three previous editions were produced in Bangkok. The match ups for the upcoming show and more information is expected to be announced in the coming weeks.